NRG Media Fort Atkinson operates three radio stations: WFAW-AM, WSJY-FM and WKCH-FM. WFAW features local news, weather and sports, and carries the Green Bay Packers, Milwaukee Brewers, Wisconsin Badger football and basketball, the Milwaukee Bucks and local high school football, basketball, baseball and softball. WFAW serves Jefferson county and Northern Rock, Western Walworth, Eastern Dane and Southern Dodge County in Wisconsin. 107.3 WSJY is your “At Work Station” featuring current Adult Contemporary mixed with the best from the 70’s-80’s-90’s and today. WSJY serves Southern Wisconsin and Northern Illinois, specifically Jefferson, Rock, Walworth, Green, Dodge and Dane counties in Wisconsin and Winnebago, Boone and McHenry counties in Illinois. 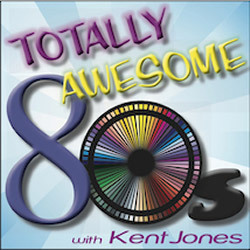 “KOOL 106.5, The Greatest Hits of All Time” features music from the late 60’s as well as the 70’s and 80’s. WKCH serves Jefferson and Walworth counties as well as, Northern Rock, Eastern Dane, Southern Dodge and Western Waukesha counties in Wisconsin.